We are all about Paper and Parties…from Birthdays to Weddings! Choose from a huge selection of “in stock” imprintables that we customize “in house”. 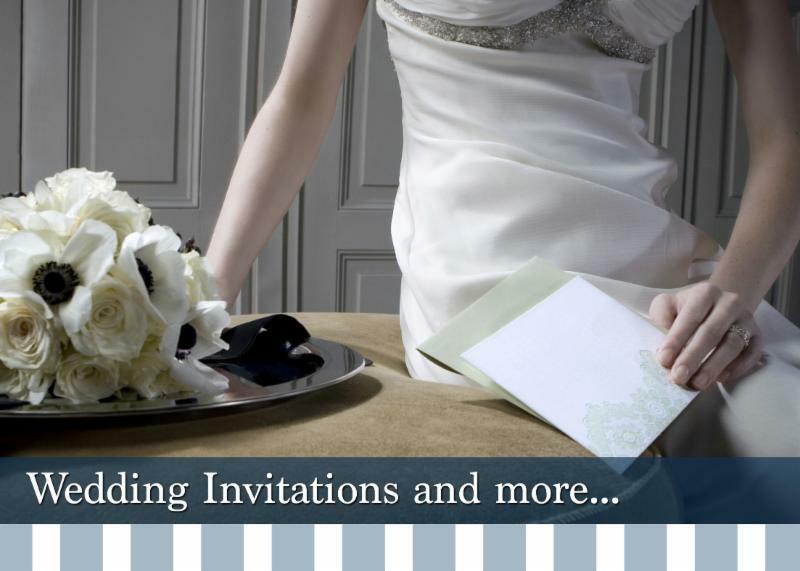 Or browse our many albums for social invitations that can be ordered. Either way…we provide plenty of advice and will make the process very simple with fast turn around times. Let us help you get your party started! COUPLES SHOWERS, REHEARSAL DINNERS AND MORE!